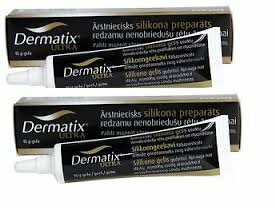 Dermatix is a transparent, self-drying silicone gel that improves the appearance of scars. 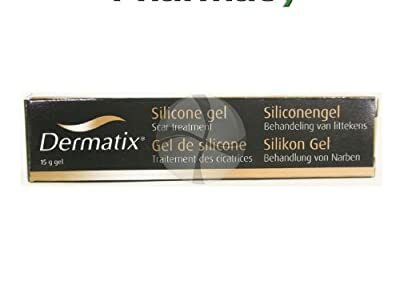 * Softens and flattens raised scars * Fades red or dark scars * Relieves the itching and discomfort of scars Dermatix is a Topical Silicone Gel that is transparent, self-drying and maintains the skin's moisture balance, while aiding the management of scarred skin surfaces resulting from surgery, burns and other injuries. Dermatix has shown to flatten, soften and smooth scars, relieve the itching and discomfort of scars as well as reduce the discolouration associated with scars. Dermatix gel is easily applied to all areas of the skin, including the face, joints and flexures, and dries rapidly to form an invisible "sheet". Dermatix was developed using the same basic long chain polymers as topical silicone gel sheeting, but it is available in a tube. It contains polysiloxane, silicon dioxide. 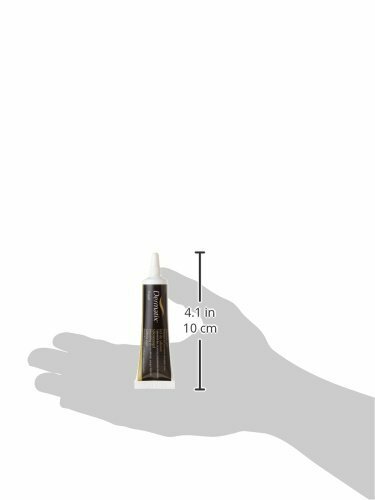 The gel is supplied in tubes of 15g. What is Dermatix gel used for? Dermatix is used for the management of scars after the wound has healed and the skin surface is intact, and in the prevention of scar development in the form of keloids and hypertrophic scars resulting from general surgical procedures, trauma wounds and burns.